Below is the New Lexington High School AIR Testing Schedule for April 8 - 18. Students being testing on the above dates are expected to arrive at school by 7:30 am with their Chromebooks fully charged. The high school will be following a 2 1/2 hour delay class schedule during this testing period. Note: Bussing will follow a normal schedule, however, students who are NOT testing and who have transportation do not need to report to the high school until 10:00 am. 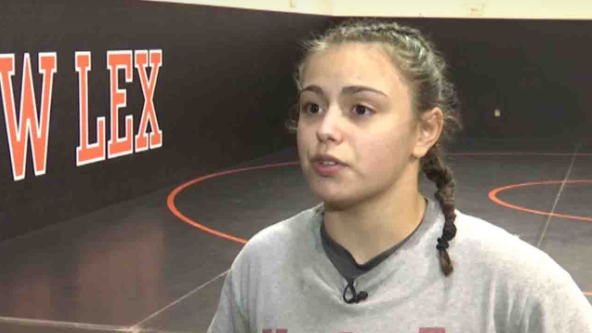 View the NBC 4 newscast featuring New Lexington wrestler Leilah Castro. Allie Freeman recently accepted two awards at the Ohio Afterschool Network’s Best Foot Forward statewide conference for her video spotlighting the Project Y.O.U. 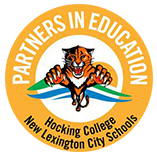 Afterschool Program at New Lexington High School. Allie earned awards for Most Likes on Facebook and Outstanding Technical Elements. Pictured presenting the award to Allie are Greg Malkin, Young Entrepreneur Institute; Allie Freeman; Dave Burkhart, New Lexington High School teacher; Nichelle Shakus, OAN Director; and Archer Thomas, OAN Quality Programs Chair. 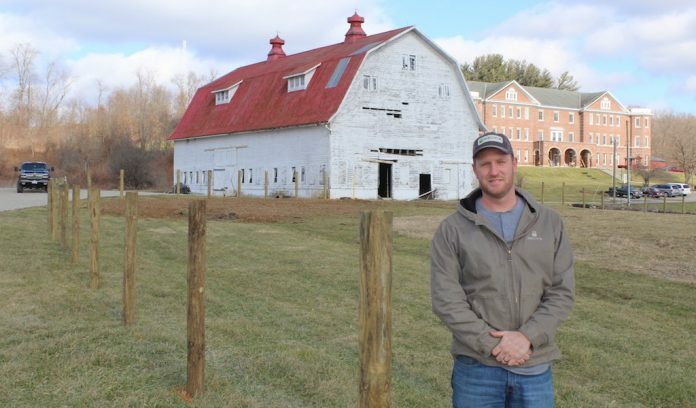 Use this link to view an article in Farm and Dairy concerning New Lex's FFA school farm program. Boys Basketball and Cheerleaders performing "All I Want for Christmas" at the Winter Pep Rally, December 14, 2018. The 2018-2019 yearbooks are able to be purchased all school year. The price for a book is $50 until the end of 2018 and then the price will increase to $55 until April 13. There will be a limited number of yearbooks available after April 13 for a cost of $60. Yearbooks ordered after April 13 cannot be guaranteed. Purchase a yearbook at school in Mr. Burkhart's room. Yearbooks will be delivered to the school next fall or you can choose to have your book delivered to your house around the same time. Did you miss out on purchasing a yearbook during your years at New Lexington High School? Yearbooks for the following years are still available and can be purchased for $20 by contacting Dave Burkhart, dave.burkhart@nlpanthers.org or stop by the New Lexington High School office. The New Lexington eAcademy is an online program that provides a challenging yet flexible learning environment for students with diverse needs and backgrounds. This program is an alternative to the traditional 7:35-2:35 structured class setting. For more information on the eAcademy, please click here. 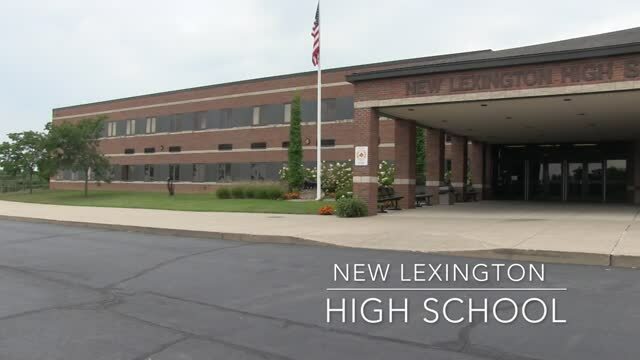 New Lexington High School is a four-year comprehensive public high school, accredited by the North Central Association of Secondary Schools and Colleges and the State of Ohio. We are a member of the Muskingum Valley League of the Ohio High School Athletic Association. We believe our students are life-long learners and the future of our community. Strengthening character, teaching respect and integrity of others, and promoting academic success within our entire student body are priorities at New Lexington. New Lexington High School is committed to instilling respect, perseverance, and responsibility to create life-long learners and productive citizens while providing opportunities for each student to experience success. We believe students will be prepared for a productive future through high expectations and ownership of the educational process. Students are encouraged to THINK before posting online to ensure that they leave behind a positive digital footprint.